The lodge has 22 romantically secluded rooms and a magnificent 5 bedroom private luxury Residence. The superb Cape Lodge Restaurant- long one of the great dining rooms in Western Australia offers classically prepared French-influenced country fare showcasing the best of Margaret River’s produce sourced from local farms, the kitchen garden and the freshest of seafood from nearby pristine oceans. Cape Lodge also offers a Gourmet Retreat and Cooking School designed for culinary enthusiasts. 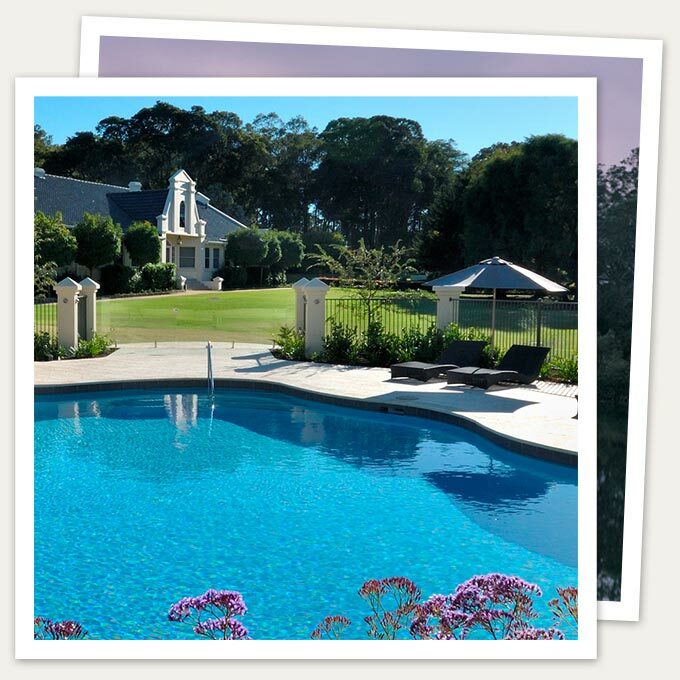 Cape Lodge sits on 40 acres of manicured parkland and ornamental lakes and has its own 8 acre vineyard producing fine Sauvignon Blanc and Shiraz exclusively for guests of the hotel. Cape Lodge is one of Australia’s finest new generation gourmet establishments, beautifully positioned on a private country estate in the heart of the Margaret River wine country. The menu features seasonal local and home grown produce plucked from nearby oceans, local farms and our kitchen garden to create superbly crafted dishes which can be matched with premium back vintage wines from the extensive temperature controlled wine cellar. Cape Lodge also offers cooking classes as part of a retreat package.